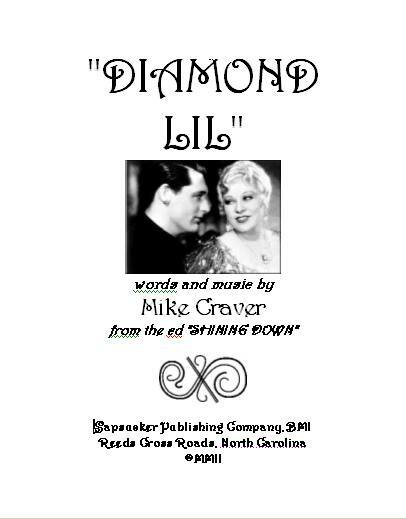 Sheet music for the song "Diamond Lil" from the album SHINING DOWN, by Mike Craver. Scored for piano, lead vocal and harmony vocals. Key of B flat, chord symbols included. 10 pages.